What are Home Altar Constellations? 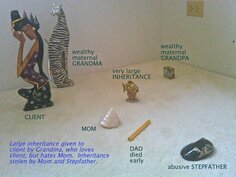 People in many Asian and aboriginal cultures get powerful help from personal family altars. Bert Hellinger crystallized this support as group Family Constellations for the Western world. I've extended it to an at-home, DIY form. 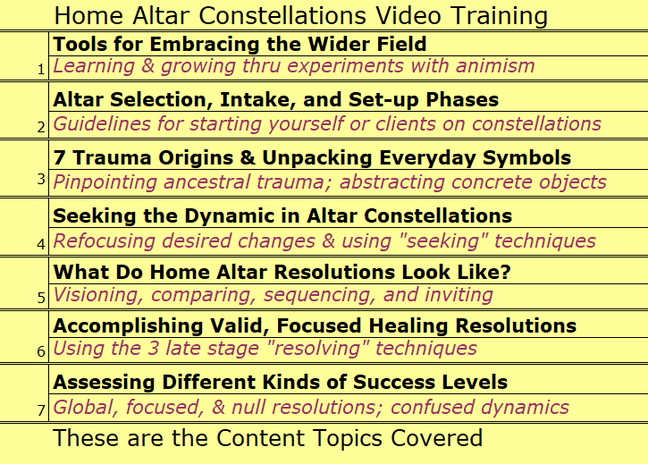 So I've been teaching clients and other alternative healers to do slow motion, home-altar-based constellations for some time now. It's spelled out in Chapter Four of my book HEALTH, HAPPINESS, & FAMILY CONSTELLATIONS. The results have been truly amazing! But just reading and actually doing are different. So this training allows you to learn with help from me and your classmates. create ongoing depression, anxiety, or compulsive behaviors? keep creating similar or repeated failures in important relationships? sow doubts around any sustained, supportive spiritual connections? While some of these problems may require help from a trained facilitator or other health or wellness professional--THERE ARE ALSO MANY THAT DO NOT. 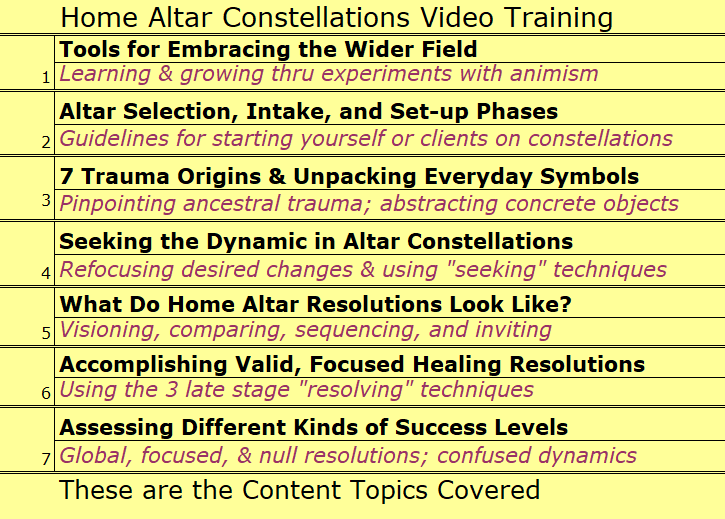 And Home Altar constellations, by helping you understand the constellation process, makes you better able to choose the facilitators that fit you best--when you feel you want professional help. Finally, the ability to do some work outside of workshops or sessions often means better, faster progress working with a facilitator. Trained Already Some in Constellation Work? 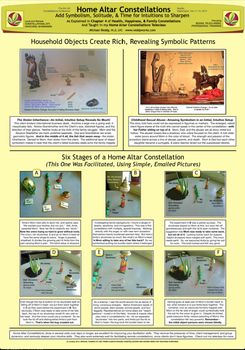 working with my home altar method avoids the "premature closure" problems of group constellations? ...because repeated short visits over days or longer create a wider field. this practice can open up your shamanic intuition and make you a better facilitator of private, remote, and group constellations? ...because it's no-pressure, regular practice with the basic skills. home altar work, by helping you understand the constellation process, makes you better able to choose the facilitators that fit you best when you feel you want professional help yourself. This interactive learning experience will forever change how you work with your partners and problems in life. It's a hands-on practicum for all those who wish to put in the effort. How to pace and conduct your visits to the altar, so that you can feel it as a kind of "living being."